Show Description: Sharon’s show teaches people how to befriend their own internal guidance system and tap into their own personal well-being. She teaches The Law of Attraction and tools on how to change limiting beliefs and create expectations that help manifest desires. She tells stories of parenting three kids and how she came to teach her children how to trust in their own internal guidance system and processes she uses in coaching her clients. Sharon interviews people on the show that want coaching or desire a conversation about parenting, the laws of the Universe or any other interesting subject. 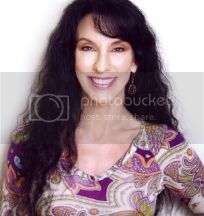 Sharon has done radio interviews on Blog Talk Radio in Los Angeles, Chat with Women radio show in Seattle and on Conscious Evolution Media internet TV in Denver. In 2007 Sharon graduated from Quantum Success Coaching Academy and in 2011 graduated from The Four Winds Society- Light Body School of Energy Medicine. Sharon lives in the Pacific Northwest with her husband Jay. Hey Sharon, so much fun:) Thank you so much! Sharon, you're a wonderful host. You know how to keep people talking and how to make the show a lot of fun. I enjoyed every minute. Thanks so much for inviting me. Thank you so much for staying in touch Steve. I really appreciate it. It was a joy and a pleasure to work with you and Sharon on the show. I would like to speak with you soon but have been so completely booked lately that there hasn't been a good moment to do so. I'll try and contact you next week. The idea of my own show is very intriguing. I'd like to know more. Seems good that so many took time to view the show. It was a great experience being a guest on this show. I feel the subject matters covered are very important and I'm so glad we had the opportunity to share such intimate and deep insight about life, love, destiny and happiness! It was a privilege to be a guest on the show. Thank you for your time and patience, walking me through the technology! I will get these embedded on my website and share them on social media ASAP. Sharon & Steve, thank you so much for having me as a guest. It was a terrific experience and I'm so grateful for any opportunity to spread the word about the power of hypnosis, coaching, and Reiki to help people achieve their dreams. Sharon, you are an amazing interviewer and I so enjoyed our time together! What a fun and inspiring show! Thanks for the wonderful interview! You were so well prepared and asked all the right questions. I hope we inspired some people to share their gifts more fully!